State energy holding Naftogaz Ukrainy has warned Gazprom, which has been restricting supplies of gas to Ukraine for the last few days, that it cannot make further advance payments for natural gas without guarantees that the Russian gas monopolist will stick to the Brussels protocol, Naftogaz said on Tuesday. The company said that for the last two days Gazprom has not fulfilled the application from Ukraine on gas supplies as set forth by the contract. "In particular, Gazprom should have delivered 114 million cubic meters on February 22-23, 2015, but actually delivered only 47 and 39 million cubic meters, respectively," Naftogaz’s statement reads. At the same time, according to Naftogaz, Gazprom has provided no explanations regarding the violation of its contractual obligations. "Currently, the main source of gas imports to Ukraine is Europe. Therefore, the faultless performance of our contractual obligations under gas transportation to the EU is our unvarying strategy," the company’s press service stated, quoting the chairman of the board of the NJSC Naftogaz Ukrainy, Andriy Kobolev. As UNIAN reported earlier, Russian gas monopolist Gazprom rejected an application from Naftogaz for the supply on February 22 of prepaid natural gas, in violation of the tripartite gas agreements negotiated in Brussels in October between Ukraine and Russia, which were brokered by the EU. 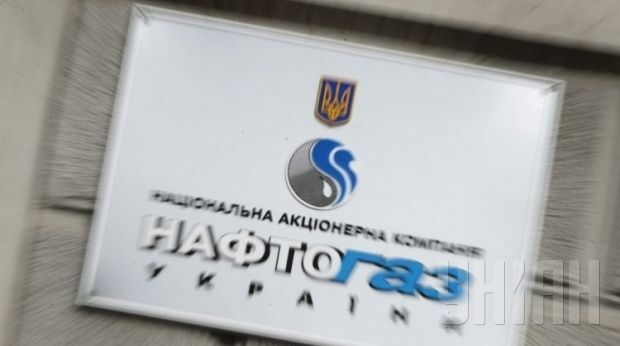 Naftogaz made an advance payment for 454 million cubic meters of gas on February 19. At the beginning of February 23, the prepaid balance amounted to 287 million cubic meters of gas.